In my previous post on Tantrums, (https://educatewithtoys.wordpress.com/2012/07/02/tactics-for-tantrum-time/) I wrote how to classify tantrums into three categories. The toddler’s tantrum is a normal, passing phase in the child’s development. The manipulative tantrum is a flashing light, indicating that the home’s discipline needs tweaking. 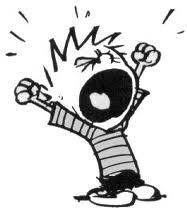 The frustration-triggered tantrum is a reaction to an emotional overload, caused by a lack-of skill or need. In this post, I will zoom in on the Frustration-Triggered Tantrum, explore its causes and learn prevention techniques. When tantrums occur frequently, we cannot be passive reactors to this recurring problem. We have to be proactive problem solvers and get to the root of it. Think logically! As unpleasant as the tantrum is for the parent, it is so much more unpleasant for the child. If so, a tantrum has to be “worthwhile” for the child. It must fill a function. 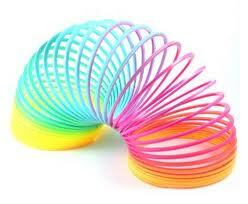 And that function deserves to be reckoned with, since it is playing such a major role in the child’s behavior. To get to the root of your child’s problem, you have to know your ABC’s. A is for Antecedents, the triggers preceding the behavior. B is for Behavior, the behavior itself. C is for the Consequences following the behavior. Simply said, analyze the before, during and after of the tantrum. Threats to self-image, which cause shame or embarrassment, losing a game, getting teased, or being outdone by a younger sibling. Biological triggers – hunger, fatigue or illness. Sensory overload-too much noise, too large of a crowd or even too many bright lights. Lack of structure; without clear instruction and structure, children can become confused. Social struggles, which cause the child to feel like an outcast. Unmet wishes for attention, others refuse to play with him, or jealousy. Behavior – describe the behavior in detail. Use concrete terms. Consequences – follow the tantrum trail and examine the aftershocks. Self-pleasure or soothing through repetitive behaviors; these calm the child, but often upset others. Venting of frustration, especially when the child’s behavior has no clear benefit, such as when the child destroys his own half-completed project in frustration. Sometimes, recurring tantrums are not caused by underlying triggers, but rather as a matter of habit. The child may simply be used to getting his way through yelling; he does not know a better way to express himself. Consequences reveal if the meltdown is fueled by manipulation or frustration. Usually, the manipulative tantrum allows the child to “get his way” or avoid the undesirable situation. For example, did the whining child bargain his way out of doing his duties? Did the attention-seeking “tantrummer” steal the show with his shenanigans and get Mom’s undivided attention at the wrong time? Did the sulking teenager cause Mom to cave in and buy the latest________? And even if the consequence led to punishment, did the child learn from his mistakes? Once you have diagnosed both the cause and symptoms, you need a preventive plan. You already know what your child needs; now you need to figure out what your child needs you to do to help him fill those needs. The first thing you want to do is modify the triggers. You want to make it easy for your child not to explode. You want to time situations right and avoid setting off an overly exhausted, hungry or sick child. You want to make appropriate demands, sometimes even adjusting expectations and accepting limitations. Can your child’s teacher allow him to complete 5 of the 25 math homework problems? Can you ask your child to clean up the playroom for ten minutes, instead of until it is entirely organized? You want to reduce sensory stimulant triggers, such as too much noise, light, touch, etc. You might even want to give visual supports and provide graphic instruction, guiding your child through potentially challenging scenarios. Next, you want to teach the skills to overcome the trigger. Skills can be learned – when taught correctly. Academic challenges, social difficulties and even emotional regulation abilities are almost always surmountable. Is it a general concept, such as problem solving, perspective taking or venting in an acceptable manner? Or is it a specific skill? Do you know how to teach the skill? Does your child need professional intervention? Indeed, your child can learn how to express himself in a more constructive way if taught how to replace negative behaviors with positive ones. Finally, you want to implement a reward or loss system, encouraging your child to make the extra effort and overcome his challenge. Only use a loss system if the triggering situation has been modified to a manageable-sized challenge, the child learned the skills to deal with the situation in a better way, and was reminded to engage in proper behavior but still chose the negative behavior. In addition, you might consider biological and physical strategies, such as dietary changes, exercise or even medication therapy. The following scenario depicts a mother solving a typical challenge by using ABC’s and implementing a preventive plan. When Steve’s mom was called down to school for a meeting, she know that Steve was in for it. She had already spoken to the teacher several times on the phone regarding Steve’s frequent altercations during recess. She knew the teacher had already penalized him with lost recess, and she had also tried implementing several consequences of her own. Nothing seemed to be working. Now that she had to come down to school, she knew this was serious business. She already filled in the C’s – lost recess, different created consequences and lots of criticism. She wanted more information about the behavior and antecedents. At the meeting, she began asking the teacher for more specifics of unacceptable recess time behavior. The teacher said he had hit, kicked and pushed other children during recess. She asked for a description of the most recent flare-up, and the teacher said that yesterday he had pushed a boy. Then, she began zooming in on the antecedents. She asked, “What happened before Steve pushed?” The teacher had no idea. She tried questioning classmates. They answered, “Nothing; he just pushed him.” She even asked Steve, but Steve denied pushing, although everyone else saw him do just that. With no concrete trigger data, she decided to do some real sleuthing and come down to the schoolyard for some observation. She watched how Steve approached two boys playing ball and said, “Can I play?” The boys answered, “No, we just started.” Steve squinted his eyes and lightly shoved one of the boys. She approached Steve and asked why he did that. He muttered, “Because they hate me and won’t let me play.” This spoke volumes about Steve’s distorted perception of his classmates’ messages, and his ensuing misbehavior. He surmised that peers who did not allow him to play dislike him. Really, all they were trying to say was that he has to wait to play with the winner. As she continued watching him to see whether her hunch was accurate, she noticed time and again that whenever Steve was told that he cannot join an already stated game, he would push, punch or hit. She also saw that whenever he disagreed when told he was out during a game, the disagreement led to a physical fighting match. Sometimes, these flare-ups landed Steve in trouble; other times, they went unnoticed. Never did his outburst get his peers to take his side. In fact, they seemed to be increasingly wary of him and tried to steer clear. He never really seemed to be getting any real payoff. Still, these two perceptions of social rejection and social injustice crept under his skin and got the better of him. She knew that she did not need to penalize him more since the consequences he had received were not working. She would need to brainstorm for a preventive plan. Steve’s mother wanted him to learn how to overcome the triggers and respond in a more positive way. Specifically, she wanted him to have friends to play with, and understand that “waiting for a turn” was not a personal rejection. She also wanted him to learn how to accept being out even when he thought he should be in. First, she tried to modify the triggers. She wanted him to have a regular playmate during recess. So she asked the teacher to encourage structured play and ensure that Steve was invited to join. She also gave him games and balls to bring to recess, so that he would be initiating the game, rather than depending on joining others’ ongoing activities. Next, she aimed to give him skills to deal with the triggers. She sat Steve down and explained to him that these rejections were not personal, but rather rules of fair play. She showed him how boys who sometimes did not allow him to play initially later invited him into another round of the game. She also discussed how he could find another partner while waiting for the game he really wanted. Finally, she explained that fighting about questionable outs caused him to lose playing time, and Steve agreed that he preferred to use recess time productively rather than waste it arguing. She also reminded him that he would be a more popular playmate if he would argue less often. She summarized both of these skills on a cue card to reinforce the skills. She asked the teacher to review this card with him before recess. She also told the teacher about the particulars of the discussion and asked him to remind Steve of the various highlights when Steve looked like he was heading toward a meltdown. As far as implementing a reward or loss system, she decided to keep the school’s consequence system in place and added a reward system of her own, promising Steve a trip to the park if he would control himself for one week. One month later, the teacher called Steve’s mother with good news. Steve had overcome another hurdle in his path to growing up. Remember: If a child has been prepared for a challenge and is taught coping skills for that particular situation, then we can try to stand firm and push his resistance. If children do not have the skills to cope with a challenging task, then we should avoid the power struggle. You’ve enjoyed a pleasant shopping trip with your seven-year-old. You’re just about ready to check out when your daughter notices a bar of chocolate, strategically placed at seven-year-old eye level. “I’ve already bought other sweets. We’re not buying this now,” you say. She tries cajoling, pleading, negotiating… You remain pleasant, but persistent. And then, her voice is escalating, the tears are cascading down her cheeks, bystanders’ heads are swiveling in your direction, you cheeks are burning, and you would give a million dollars to be anywhere, but here. Your fourth grader has spent the past two hours sitting at the kitchen table, attempting to complete the fifteen math word problems, due the next day. She’s grumbling throughout. Then, she erupts into tears and says, “I’m just not doing it. I’m dumb, and I can’t, and I don’t care.” You stand there, half-wishing that all your maternal sympathy could translate into some concrete assistance for your precious child, half-hoping that she will somehow grab hold of her control. It is no secret that dealing with tantrums is one of the least beloved parenting responsibilities. On the one hand, we all know our call of duty in time of tantrum. Do not become enmeshed in a power struggle, and try not to teach your child that tantrums are an acceptable way of attaining his goals. Rather, keep to your stance and calmly enforce discipline. On the other hand, this duty is almost impossible, for it requires you to gain the cooperation of a thrashing, shrieking child. If we understand the makeup of a tantrum, then we can understand why rationale does not prevail in time of tantrum. All humans react when they feel threatened with an intense emotion. When a person perceives a potentially frightening situation, it seems as if the emotion center has taken over the reasoning part of the brain, which makes it difficult to access the person’s sense of logic. During this “flight, fright or freeze phase,” meltdowns can occur, since the planning and reasoning part of the brain is “hijacked.” For the same reason, it is pointless to try to talk logically and reason with someone experiencing a meltdown… he is not acting rationally right now. Distraction: Find something that interests your child to help him focus on something other than his extreme frustration. WARNING! Do not use distraction for manipulative tantrums. If you child learns that he does not have to do his chores after a meltdown, he will continue to pull this trick on you. Use distraction to calm your child and help him move on to the next step, NOT as a reward for the tantrum. Eventually, you would like your child to learn how to self-soothe. Therefore, avoid over-using distraction. Humor: Show him the absurdity of this situation to diffuse the tension. Security Boosting: Tightly wrap your two arms around your child to make him feel relaxed and secure in your embrace. Secret Signals: Pre-plan a secret sign, so you can signal to your child when you see a tantrum brewing. This will enable him to catch himself before it erupts full-scale. The Comfort Zone: Create a home base of a safe, comforting place where the child can unwind when upset. While these techniques are wonderful lifesavers, they should be just that; lifesavers, used in time of emergency. Depend on them for the inevitable tantrum that you could not predict or prevent. However, the very best method of dealing with tantrums is to avoid them. The million dollar question is: HOW? Before we answer, let us explore three common tantrum variations, because each one calls for its own strategy. Some tantrums are age-appropriate, juvenile emotional immaturity. Young children’s physical and intellectual capabilities do not match up with their emotional abilities. In addition, toddlers and preschoolers lack self-control. This results in the “terrible two’s” phase of frequent tantrums. The scenario of the two-year-old who does not want to come inside is a classic example of an age-appropriate tantrum. As a parent, realize that this phase will pass soon. Attempt to avoid boxing your child into tantrum-prone situations. And when they do erupt, take a deep breath, flex your muscles, and remember that you are dealing with a normal child who is not mature enough to know better ways of expressing frustration. Other tantrums are manipulative tactics, such as the scenario of the seven-year-old demanding candy. Sometimes, these tantrums may even take on different forms, such as sulking, balking or giving the silent treatment. When these tantrums occur frequently, carefully analyze the procedures and discipline routines in your home. Make sure you are consistent in your demands and follow through with your words and actions. View these meltdowns as warning signals, indicating that discipline in your home may need some tweaking. But other tantrums, such as the scenario depicting the child who is exasperated because of his math homework, are not premeditated, controlling ploys to subterfuge your parental authority. Rather, they are simply an expression of extreme frustration, an escalating negative emotional reaction. They stem from a deficiency in the child. As a parent, try to pinpoint where the weakness first occurred. Then, give your child the skills to compensate for his deficiency or teach him how to vent in a more acceptable manner. How can we plan ahead to minimize tantrums? Accept your child for who he is with love. He is a unique individual with his own temperament, strengths, shortcomings and limitations. This will enable you to create realistic expectations for your child, Unrealistic expectations lead to excessive demands, in both performance and behavior, which the child cannot fulfill. This causes disappointment, frustration and negativity, which often culminates in a meltdown. Accepting your child helps you control your own temper, because you realize that it’s okay for your child to have imperfect behaviors or limited capabilities. These inadequacies are not a reflection of your incompetence or a threat to your parenting abilities. They are attributes, given to your child by God. Once you learn to control your own frustration, you can help your child control his. When you accept your child, you create an environment in which the child feels competent, not criticized. You make realistic demands. Thereby, you avoid ensnaring your child in the net of “learned helplessness.” When demands are constantly above the child’s limitations, the deep frustration stemming from repeated failure teaches the child that success is not within his control, so he “learns helplessness” and gives up quickly. This habit persists even when circumstances are within the child’s control. Repeated frustration and failure fuel tantrums. Conversely, realistic demands create an environment in which the child feels confident that he can succeed. When you modify difficult tasks to a more manageable-size, you exercise your child’s muscles, without straining them to the point that your child explodes. For example, if your child has weak muscles, encourage him to dress himself, but agree to button his shirt to give him just the right amount of fine motor muscle strengthening or if you know your child’s equilibrium is threatened by the noise of too many guests, invite one friend at a time for a play date. Teach your child to self-soothe. Your child will inevitably bump into frustrating situations in life. You want him to be able to respond in a healthy way. This emotional maturity does not necessarily develop on its own. Teach your child how to respond properly. At a calm time, site down with your child and discuss what helps him calm down. Explore options such as deep breathing, drawing, walking, sucking on ice, etc. Practice these calming techniques, so that your child will be able to put them into action in times of stress. Try using visualization to help your child picture himself in tough situations and visualize himself responding calmly. Also, train your child to strategize and problem solve effectively. This will enable him to cope independently and positively. When meltdowns occur frequently, explore common threads. Assess if you can predict the challenging behavior, try to zoom in on the trigger, and analyze the patterns of the rest of the family’s reaction. Is a family member enabling the problem? Once you discover an emerging pattern, you can learn to predict meltdowns and even develop a plan to prevent tantrums.